Contest: Win A Luxury Cotton Towel Set! 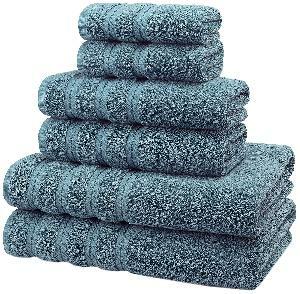 Prize: Premium, Luxury Hotel & Spa Quality, 6 Piece Kitchen and Bathroom Turkish Towel Set, 100% Genuine Cotton for Maximum Softness and Absorbency by American Soft Linen! You can win one of the 3 towel sets! What you must do to enter: Just enter the sweepstakes and the more you share the more chances of winning. Statistics: This contest was opened by 200 and entered by 14 ContestChest.com members. 7% of those who opened the contest, entered it.